Villagers from Tibet's Maldro Gongkar County have shown concern for the environmental future of the region, as they fear China wants to build a new mine in the Gyma Valley. Locals fear that the workers spotted in the Valley are linked to the construction of the mine. China's hunger for minerals is polluting the rivers in many areas of Tibet, and people in Maldro Gongkar fear that a new mine will worsen the already delicate environmental status of their county. Chinese road-building crews have begun cutting a new track leading to Gyama Valley near Tibet’s regional capital Lhasa, leading to local fears that a new mine may soon be built in a region already heavily polluted by Chinese extraction operations, sources say. New mining in the area of the copper-rich Gyama township, which lies in the Tibet Autonomous Region’s Maldro Gongkar (in Chinese, Mozhugongka) county, could begin as early as this month, a Tibetan living in exile told RFA’s Tibetan Service. “Many workers have been seen busy on construction in the area,” RFA’s source said, citing local contacts. 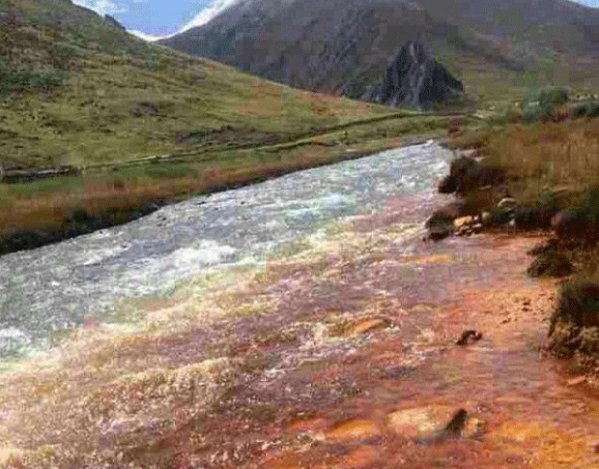 Both government and privately owned mining companies have been active in extracting ore from Gyama Valley in recent years, leading to frequent Tibetan protests over harm caused to the environment and local livestock, a second exile source said, also citing contacts in the area. “What we are seeing now may be plans for a new mine [in Gyama],” he said. Tibet has become an important source of minerals needed for China’s economic growth, and Chinese mining operations in Tibet have often led to widespread environmental damage, including the pollution of water sources for both livestock and humans, experts say. “In the past, our rivers were crisp and clean, and the mountains and valley were known for their natural beauty,” one Gyama resident told RFA in an earlier report. “Now the rivers are polluted with poisonous waste from the mines,” he said. Operations at one Gyama mine, scene of a catastrophic landslide that killed 83 in March 2013, have already fouled local water sources, experts say.